I'm still working on THIS list of prompts! You can see all the creations from this list HERE! 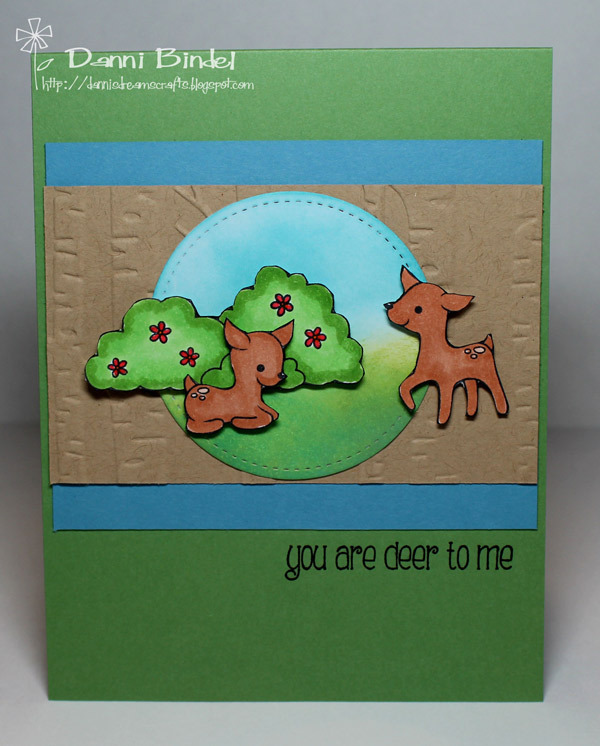 I used my Clearly Besotted set, Deer to me for today's prompt of deer! For the circle behind my deer I used Distress Oxide inks. Everytime I use them I just fall in love with them all over again! They are just so easy to work with and just fun! I really need to pull them out more often!! Danni this is adorable. You always do such different card ideas! Love it!